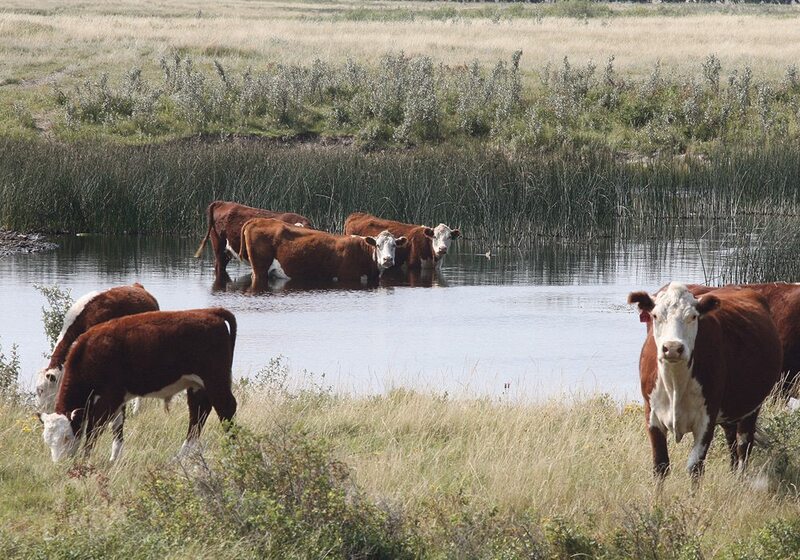 Last summer, we had significant water quality issues in parts of Saskatchewan and Alberta that affected the cattle population. The low levels of rainfall and the high temperatures of the summer resulted in the concentration of salts in dugouts, which resulted in very poor water quality, largely due to high levels of sulfates in the water. Water that is extremely high in sulfates is not very palatable to cattle and if given a choice they will choose another water source and refuse to consume the high sulfate water. However, if given no alternative, cattle will eventually consume the water and if sulfate levels are high enough, it can cause toxicity and death. The primary form of severe toxicity is often manifested by damage to the brain and central nervous system. Polioencephalomalacia (PEM) is the technical term for a nervous disease of cattle characterized by blindness, difficulty walking and seizures. It can be created by exposure to high sulfate levels. 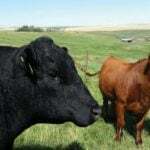 However, lower levels of sulfates in the water or diet can cause less obvious problems in cattle. Sulfates bind with copper and other trace minerals in the rumen, making them unavailable for absorption. The effect on copper becomes even more significant if molybdenum levels are high in the diet because molybdenum can also tie up copper absorption. 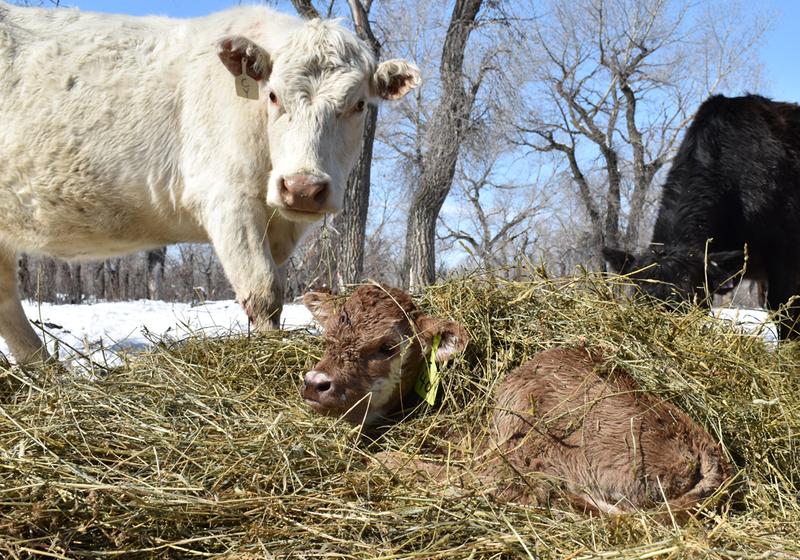 Higher levels of sulfates are common in water in many areas of the Prairies and if distillers grains are used as part of a finishing diet, they can also raise the sulfate levels in the rumen. 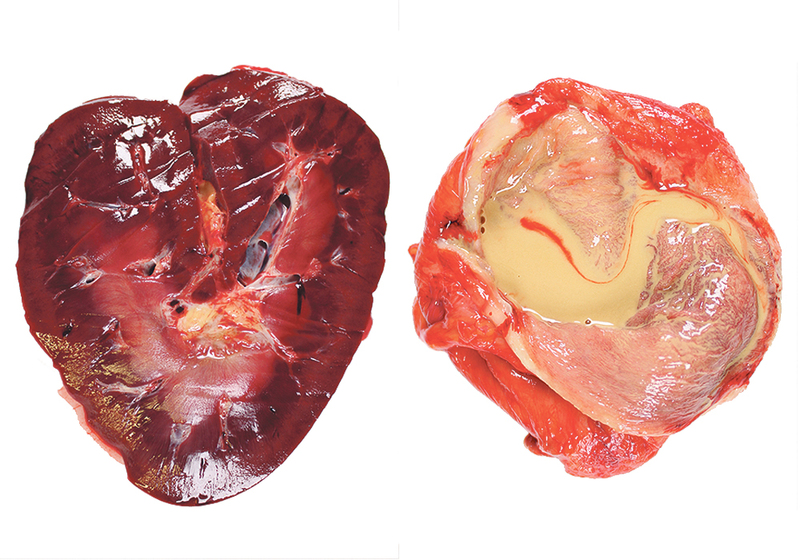 Copper deficiency may be a significant subclinical risk in these situations. 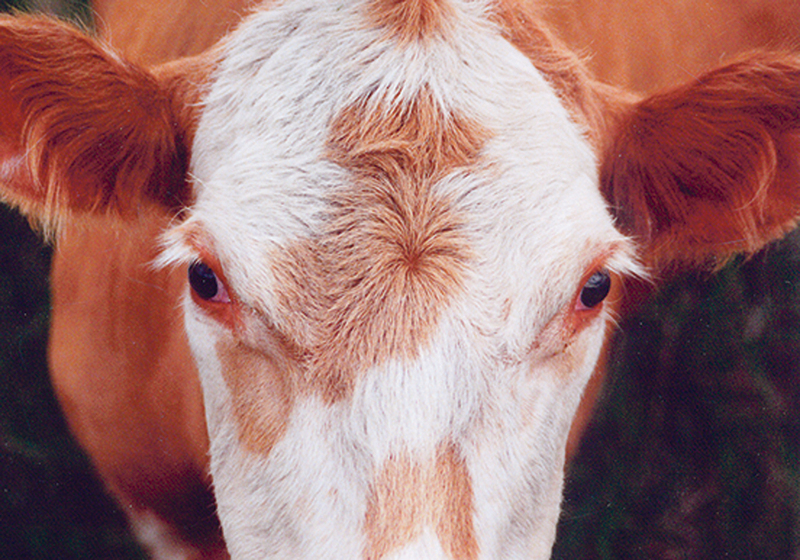 Copper deficiency in cattle has been associated with a wide range of problems including poor growth, loss in milk production, changes in hair colour, and anemia (low levels of red blood cells). 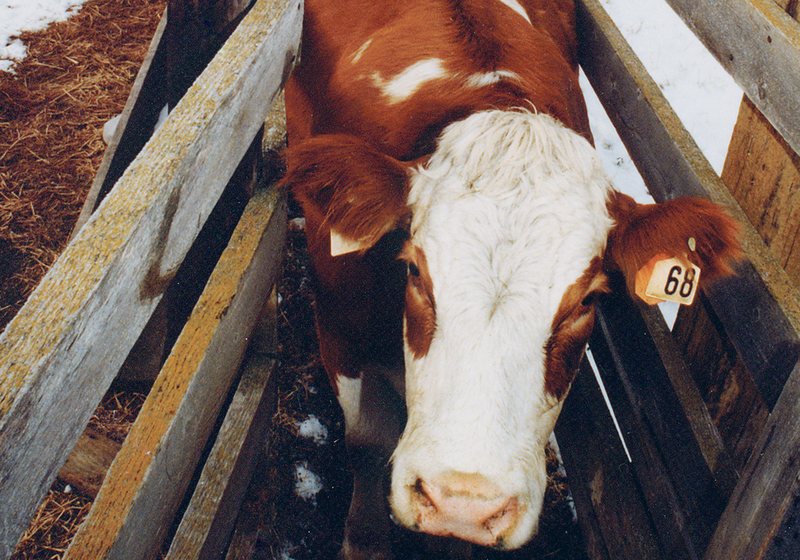 Copper may also play a role in the immune response and cattle that are copper deficient may be more prone to infectious diseases. 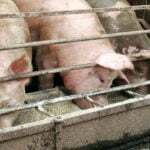 Copper deficiency has also been linked to reproductive failure. 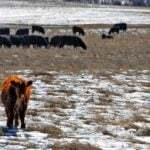 We know many cattle in Western Canada are deficient in copper. The Western Canadian Cow-Calf Surveillance Network tested cows in herds across Western Canada in 2014 and demonstrated that 43 percent of the cows were deficient in blood copper levels and 88 percent of the herds had at least one cow with deficient levels of copper. I have often wondered about the best strategy for dealing with diets or water sources that might make copper unavailable. A recent paper expected to be published in the Journal of Animal Science tackles that question. Researchers at the University of Iowa took a group of steers and fed them a corn silage diet with higher levels of sulfates and molybdenum and no added copper, manganese, selenium or zinc for about two months to deplete their copper levels. They compared these steers to other steers that were fed a similar diet but with the inorganic trace minerals added at the appropriate levels and with no added sulfates or molybdenum. 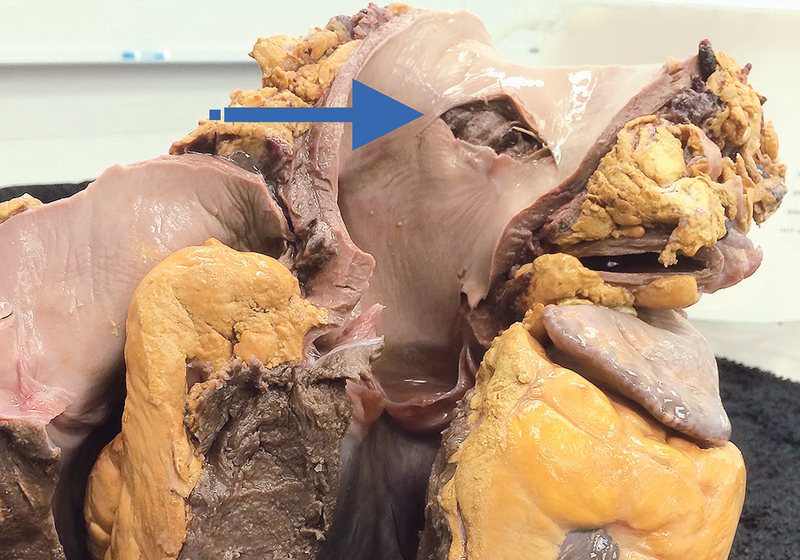 As expected, the copper levels were much lower in the livers of the steers given the additional sulfates and molybdenum in their diet. The sulfates and molybdenum bound up the copper in the rumen and made it unavailable for the steers to absorb and use. These antagonists dramatically lowered the liver copper levels by 84 to 96 percent over the two-month feeding period. The diet with sulfates and molybdenum also lowered the liver levels of manganese and selenium in the steers, although this effect was less dramatic. The researchers then applied three different treatment strategies to the steers to evaluate which would be the best for correcting the trace mineral deficiencies that the antagonistic diet had created. The steers either received an injectable trace mineral product, which contains copper, manganese, zinc and selenium (Multimin 90) along with 100 percent of the recommended levels of those trace minerals in an inorganic form, a dietary supplement that contained 150 percent of the levels of those trace minerals in an inorganic form, or a dietary supplement that contained 150 percent of the recommended levels of those trace minerals in a blended form (75 percent inorganic and 25 percent organic minerals). 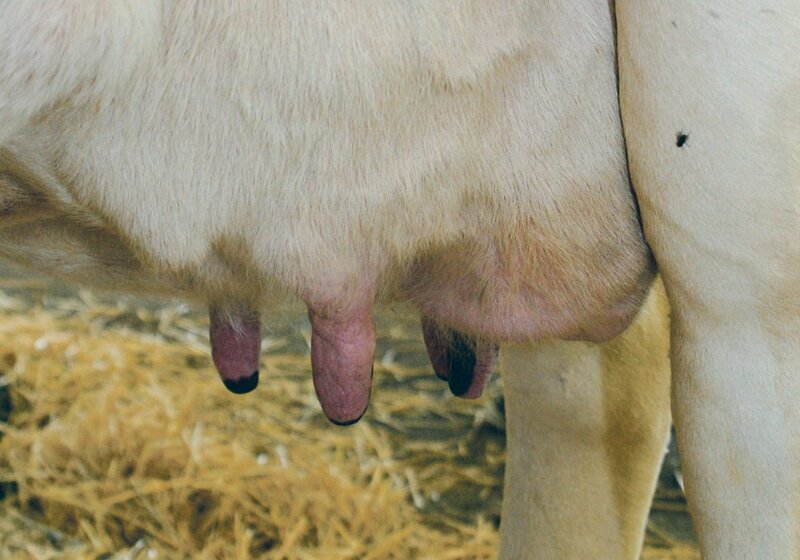 The latter treatment with organic minerals or “chelated” minerals creates a situation where the minerals are less soluble in the rumen and are more likely to be absorbed in the small intestine, making them more available to the animal. In the end, all three supplementation programs corrected the copper deficiencies that were created by the antagonistic diets containing sulfates and molybdenum. As expected, the trace mineral injectable product (Multimin 90) had the quickest response in copper levels, even when the steers were still being fed the antagonistic diet. There was a dramatic rise in copper levels by Day 14, demonstrating that the injectable trace minerals bypass the rumen where the binding of copper to sulfates and molybdenum occurs and these trace minerals were quickly made available to the tissues of the steers. The other two treatments with the dietary supplements also corrected the copper levels, but it took slightly longer. Copper levels were restored to normal levels within 28 days in the steers fed the chelated mineral blend and within 42 days in the steers fed the inorganic minerals. Unfortunately, the injectable trace mineral product (Multimin 90) isn’t licensed in Canada yet. The good news is that we have some evidence that even in the presence of elevated levels of sulfates and molybdenum, using trace minerals at 150 percent of the recommended levels can correct the antagonistic effect on copper and other trace minerals. It was also apparent from this study that the chelated minerals had a slight advantage in the length of time it took to correct the problem in the animals that had been depleted in their copper levels. The take-home message is that we need to be aware of the effects of even moderate levels of sulfate or molybdenum on some of the important trace minerals in our cows. Your veterinarian can help by periodically testing animals for trace mineral levels. 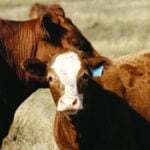 Your local livestock agrologist, nutritionist or veterinarian can help you with the resources you need to test water or feed so that you can know if there is a problem with sulfates or molybdenum in your water or feed. John Campbell is a professor in the department of Large Animal Clinical Sciences at the University of Saskatchewan’s Western College of Veterinary Medicine.